1) Alkaline ceramic ball is developed on the basis of far infrared ceramic ball,it can breakdown bigger molecule group of water into smaller one to activate water. Eradiate more than 80%∼85% FIR (far infrared ray), make water (PH value is 9 to 10.5), antibacterial and release mineral microelements. 2) Alkaline ceramic ball is the perfect combination of antibacterium and nano-technology,because it is still has very strong sterilization in high temperature conditions,it is the traditional replacement products for the mineralization ball. 3) Long-term drinking water treated by alkaline ceramic ball, we can improve the body's resistance to harmful substances and natural cure. 4) Alkaline ceramic ball is modified to add the far infrared ceramic materials of the traditional activity ball.Far infrared ceramic material has emission of more than 90 percent rate at room temperature. It has function of high far infrared emission rate and strong water absorption, this product is rich in 20 kinds of trace elements necessary for the human body,such as zinc, lithium, iodine, selenium, and so on.these trace elements are slowly released In purified water, making the activated water contain more useful minerals. Should wash with clean water for two times in the first, then can be directly used for treating drinking water. Keep from raining, and avoid moisture. Stored in dry place. 1.We promise to reply your inquiry relational our product within 24hours. 2.MSDS&SGS service for your unique idea with absolutely convenient. 3.Experienced foreign trader with professional product knowledge. 4.Value on business credite , promise to protect your sales data, design,patent info. 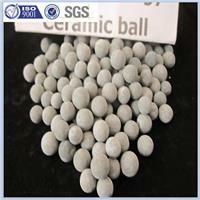 bio Ceramic ball, Mineral ceramic ball, Far-infrared ceramic ball, Negative potential ceramic ball, Germanium balls, Negative ion ceramic ball, Energy ceramic ball, Alkaline energy ceramic ball, Clay ball, Silica Hydride, Maifan stone ceramic ball , Calc-alkaline ceramic ball, Anti-bacterial ceramic ball.